(NaturalNews) As America inches toward open revolt over the runaway criminality and collusion of the democrats and the media, another kind of revolt is taking place inside the FBI. 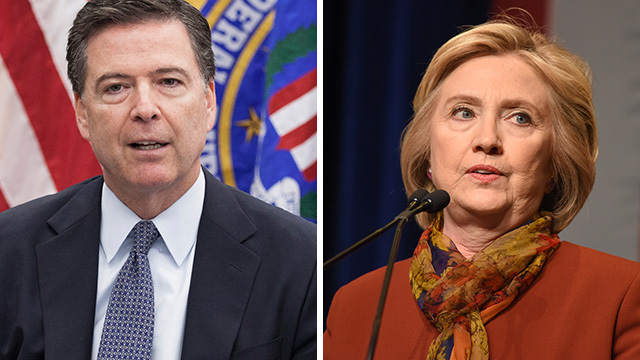 According to multiple sources in the independent media — now the only remaining “free press” in America — FBI director James Comey was forced into announcing a reopening of the criminal investigation into Hillary Clinton’s private email server by “livid” FBI agents who threatened to go public if Comey didn’t act. James Comey, long since suspected to be a Clinton operative who deliberately allowed Hillary Clinton to get away with a vast number of felony crimes and national security violations, now finds himself with his back against the wall. If he releases the evidence against Hillary Clinton already possessed by the FBI, he will face the wrath of Obama, the Clintons, the corrupt Loretta Lynch (DOJ) and the entire leftist media. If he once again gives Hillary Clinton a free pass on her numerous crimes, he then faces a mutiny inside the FBI which promises to bypass his authority and leak the criminal evidence directly to the alternative media.